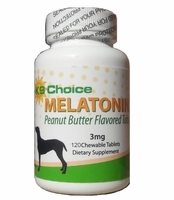 Melatonin is associated with boosting the immune system and providing antioxidants to the body. 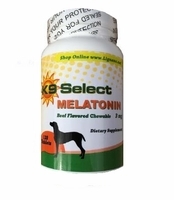 Research has indicated that Melatonin supports the endocrine system in dogs and it is often a first treatment option for dogs with Canine Cushings (hyperadrenocorticism). 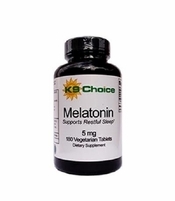 Melatonin has been reported to aid in more REM time sleep in people as well. 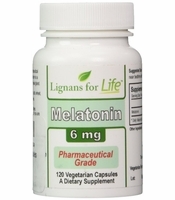 ** Our Lignans for Life 6mg melatonin is for people or dogs. 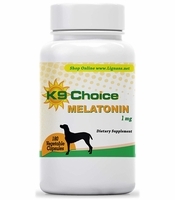 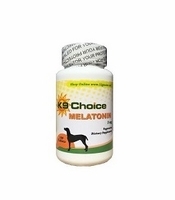 Our K9 Choice 1mg, 3mg, 5mg, and our K9 Select Flavored 3mg melatonin were created for dogs. 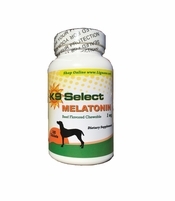 For more information on melatonin and its benefits for both people and dogs, click on the products below.